Our repository in the healthcare industry caters to drugs/pharmaceuticals, biologicals, biosimilars, medical devices, healthcare IT, IoT in healthcare and many more! 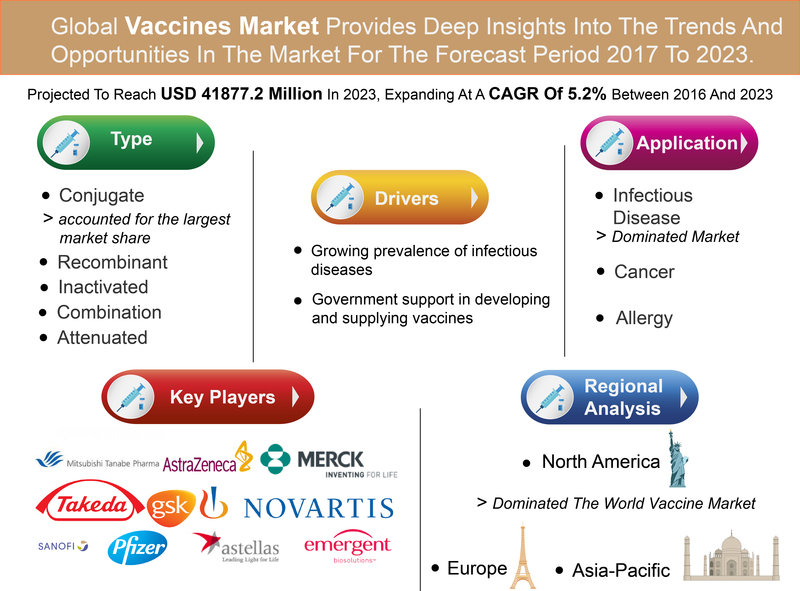 The report on global vaccine market is an in depth analysis of the segments and sub-segments in the vaccine market. The report provides analysis for the global as well as regional markets over the period of 2015 to 2023. Orthobiologics are substances that orthopaedic surgeons use to help injuries heal more quickly. They are used to improve the healing of broken bones and injured muscles, tendons, and ligaments. These products are made from substances that are naturally found in your body. 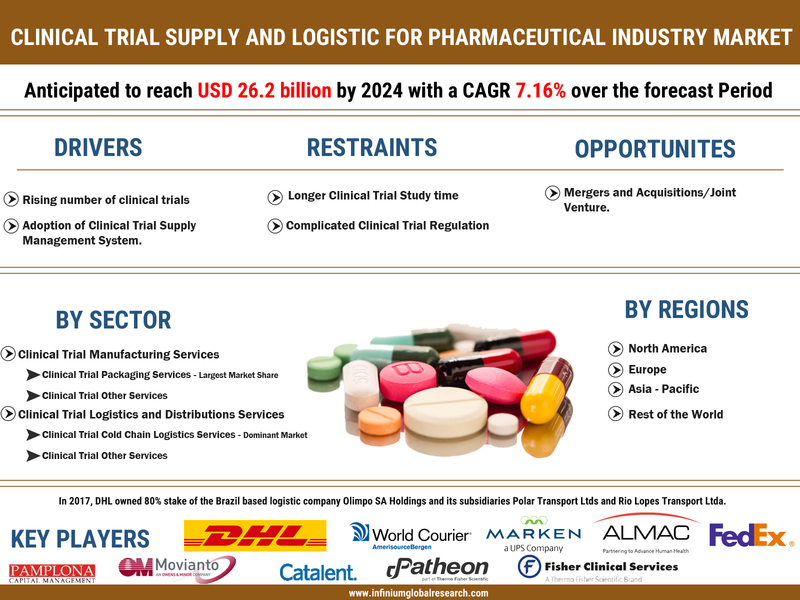 According to report the global orthobiologics market is projected to grow at a CAGR of 5.5% over the forecast period of 2017-2023. A recent report published by Infinium Global Research on orthopedic products market provides in depth analysis of segments and sub-segments in global as well as regional orthopedic products market. The report is a comprehensive presentation of trends, forecast and dollar values of global orthopedic products market. 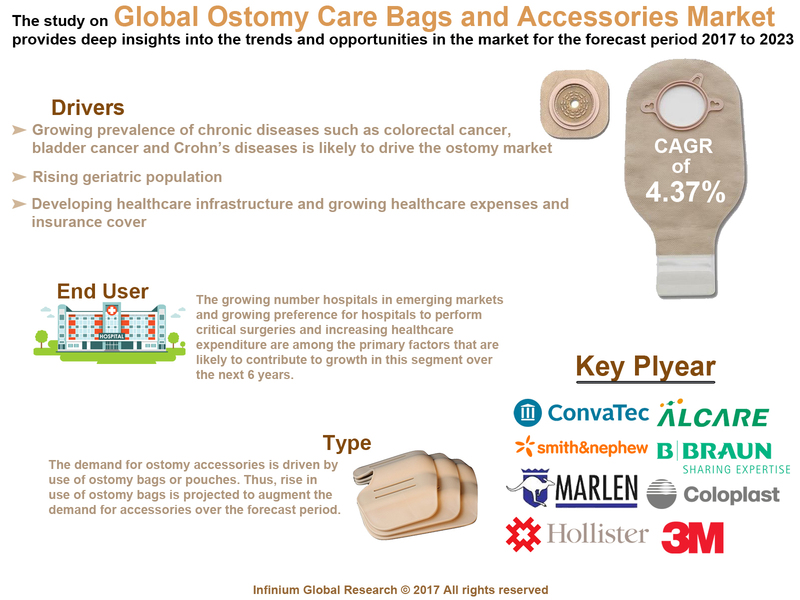 According to report the global orthopedic products market is projected to grow at a CAGR of 2.7% over the forecast period of 2017-2023. A prefilled syringe is a disposable syringe that is supplied already loaded with the substance to be injected. 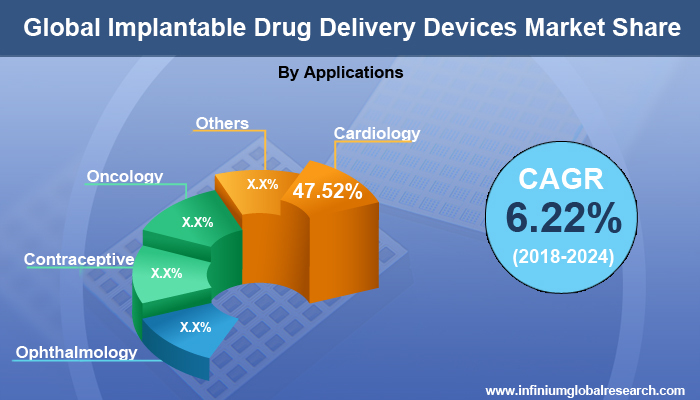 Pre-filled syringes have emerged as one of the fastest growing choices for unit dose medication as the pharmaceutical industry seeks new and more convenient drug delivery methods. 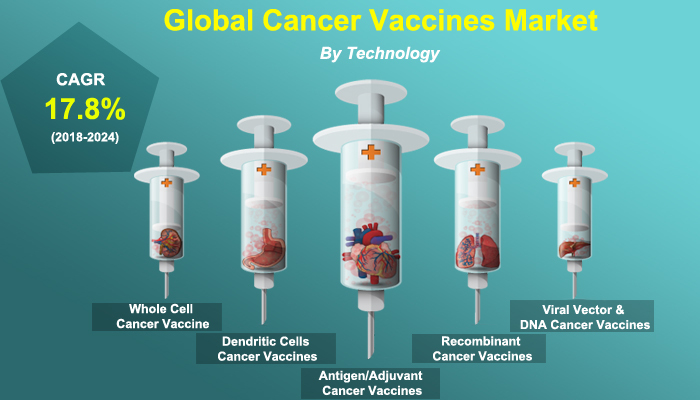 The report identified that global biologics safety testing is driven by factors such as number of drug launches are increased, technological advancements, increase in biotechnology and pharmaceutical industries driven by government support and regulations. While the restraining factors include high cost of biologics safety testing. The report identified that global cell-based assays is driven by factors such as growing drug discovery activity, increasing incidence of chronic diseases, and growing preference for cell-based assays. While the restraining factors include high cost of cell-based assays deployment and instruments. The report identified that global computer assisted coding market is driven by factors such as implementation of CAC solutions is increased in North America due to 10th revision of the international classification of diseases, increase in adoption of electronic health record system, increasing use of CAC solutions to restrict the rising healthcare costs, provides accurate coding and increasing need for patient data management. The report identified that Global In Vitro Diagnostics (IVD) Quality Control is driven by factors such as Rising Demand for External Quality Assessment (EQA) Support, Number of Accredited Clinical Laboratories are increasing, Acceptance of Third-Party Quality Controls is Increased, and Government Regulation. While the restraining factors include High Cost of In Vitro Diagnostics (IVD) Quality Control in Hospitals and Laboratories. The report identified that global medical image analysis software is driven by factors such as technological advancements in medical imaging systems and analysis software, increasing public and private-sector investments, fast growth in aging population, fusion of imaging technologies, and growing applications of computer-aided diagnosis (CAD). The report identified that global preimplantation genetic testing is driven by factors such as growing public-private investments in the field of preimplantation genetic testing, number of fertility clinics are increasing worldwide, decreasing fertility rates, technological advancements, and high risk of chromosomal abnormalities with advancing maternal age. The report identified that global temperature management is driven by factors such as number of awareness campaigns and conferences for physicians are increased, technological advancements, growing incidence of chronic conditions and growth in research funding. While the restraining factors include high cost of temperature management systems and product recalls. The report segments the global X-Ray Imaging market by portability, technology, end user, application, and region. The market by portability includes stationary X-Ray Imaging and portable X-Ray Imaging. Similarly, the technologies include analog X-Ray Imaging and digital X-Ray Imaging. Animal healthcare has become a substantial focus area for many pharmaceutical players over past decade. This is due to progressive growth registered by global animal healthcare market. Growth in this market can be credible to animal disease outbreaks linked with large scale factory farming that requires superior quality animal feed additives, vaccines and hygiene management product. Rapidly increasing pet adoption, growing need to control zoonotic disease spread and advance drug development for effective animal health are the major growth driving factors in animal healthcare market. The report is a comprehensive presentation of trends, forecast and dollar values of global vascular access devices market. According to report the global vascular access devices market is projected to grow at a CAGR of 6.7% over the forecast period of 2017-2023. The report identified that global advanced wound care products is driven by factors such as growing incidence of diabetes and technological advancements, Favorable government reimbursement policies, and, Increasing awareness about the products. The report identified that Asia-Pacific diabetes devices is driven by factors such as growing demand from emerging markets and supportive government initiatives, increasing demand for minimally invasive and non-invasive treatment and monitoring devices, and, rise in base of geriatric population, growing awareness about the technologically advanced products among the population. Tuberculosis is a highly infectious bacterial infection, and is caused due to Mycobacterium tuberculosis or MTB infection and majorly infects human lungs. Tuberculosis (TB) can be caught by breathing in air that an infected person has contaminated through: Breathing, coughing. Furthermore, the disease is ranked second leading cause of death, after human immunodeficiency virus (HIV). According to report the global tuberculosis testing market is projected to grow at a CAGR of 12.5% over the forecast period of 2017-2023. The bioactive wound dressing is an advanced method of healing wound and is made of biomaterial, due to which it is known as a bioactive wound dressing. Bioactive wound care products derived from artificial and natural sources and play a critical role in the wound healing process, by controlling infection and fastening the healing process. According to the report, the global bioactive wound care market is projected to grow at a CAGR of 6.1% over the forecast period of 2017-2023. Insulin pumps are portable devices attached to the body that continuously deliver amounts of rapid or short acting insulin thru a catheter placed under the skin. These are better alternative to insulin injections as they reduce the need for multiple insulin injections per day and give the user increased ability to control blood glucose levels. A recent report published by Infinium Global Research on platelet rich plasma market provides in depth analysis of segments and sub-segments in global as well as regional platelet rich plasma market. The report is a comprehensive presentation of trends, forecast and dollar values of global platelet rich plasma market. According to report the global platelet rich plasma market is projected to grow at a CAGR of 12.5% over the forecast period of 2017-2023.